Seals Eastern utilizes Fourier transformed infrared spectral data for Quality Control and chemical analysis of rubber compounds and ingredients. Seals Eastern employs a computer integrated FTIR instrument to perform such analysis. We use the Nicolet® Model 460 bench combined with a Spectra-Tech Thunderdome ATR (Attenuated Total Reflectance) accessory as an extremely powerful tool for analysis of elastomer composition and chemical degradation. FTIR enables us to examine the presence or changes of functional organic groups present within the rubber composition. Seals Eastern utilizes an ARES to characterize and analyze the viscoelastic properties of its materials. 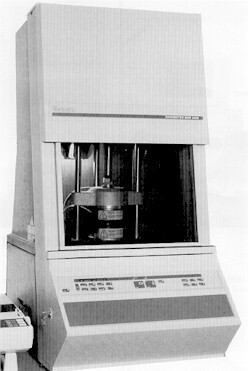 The ARES Strain-Controlled Rheometer, by Rheometric Scientific, is an advanced instrument capable of mechanical polymer characterization. 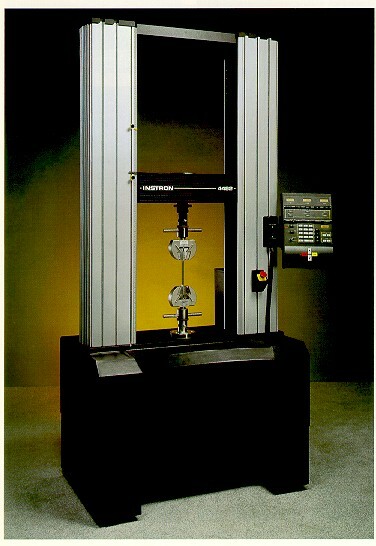 The instrument is capable of a wide range of testing from steady shear to multi-wave temperature sweeps. The instrument is capable of testing in the temperature range of -150° C to 600° C. Dynamic tests can be performed at frequencies between 10-5 rad/s and 500 rad/s. Flow and stress relaxation phenomena are easily observed using the ARES instrument. To learn more about Dynamic Mechanical Thermal Analysis read Luckenbachs paper (note: you will need Acrobat Reader to down load this paper).